Rose studied textile design at Loughborough College of Art and Design where she gained her degree. Following that, for a number of years she lived and worked in London as a freelance designer. In the mid seventies she moved to Norfolk with her husband David. 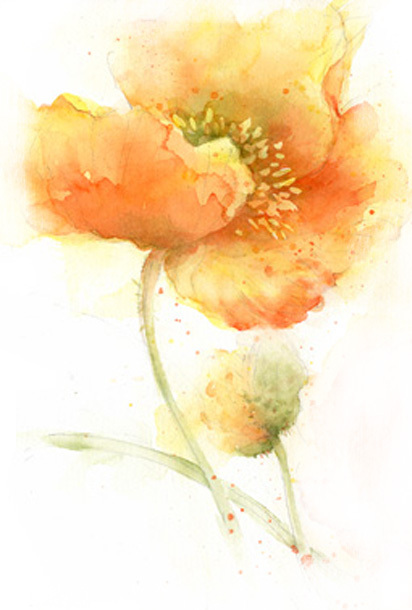 Over the years, encouraged by David, she became interested in watercolour painting finding her country surroundings and her garden to be a rich source of inspiration. Rose has become well known for her paintings of flowers, gardens and still life. She exhibits locally and in London. Over the years she has had many of her paintings published for prints and for greetings cards in both Britain and in the USA. Encouraged by her success with print and card manufactures she is now developing her own range of prints and greetings cards. Commissions for original paintings and for designs for greetings cards are welcomed and came be discussed by contacting Rose.